How can Bodenheimer help me improve the quality of care at my practice? Health Care Homes FAQ 6 – How can Bodenheimer help me improve the quality of care at my practice? Thomas Bodenheimer is a guru of quality primary care around the world. His model is widely regarded as the template for general practices seeking to provide high-quality care. The 10 Building Blocks of High-Performing Primary Care has been used as the basis of primary care reform worldwide, including in the US and New Zealand. The 10 building blocks can be looked at as a framework for a practice to work through. 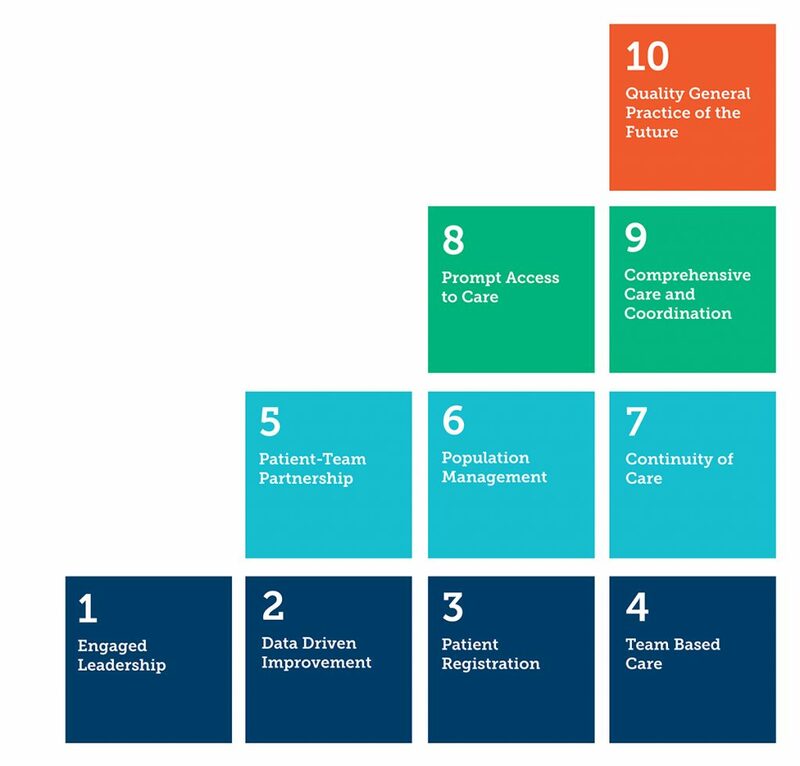 The first four building blocks – leadership, data-driven improvement, enrolment and team-based care – help the practice to build a strong foundation. The practice can then tackle improvements in areas covered by the higher building blocks such as population management (6), prompt access to care (8), and comprehensiveness and care coordination (9). These higher blocks don’t necessarily need to be completed in order; they can be looked at based on what your practice is interested in tackling first. NWMPHN has developed a Quality Improvement Guide and Tools to help your practice to tackle quality improvement activities. Dr Jeannie Knapp is a practicing GP and practice owner working in Richmond, Melbourne. Jeannie is the clinical lead for the Health Care Homes Readiness Project, a NWMPHN initiative. To comment, request a practice visit or for any questions to Jeannie about the Health Care Home readiness strategy at NWMPHN, please email: healthcarehomes@nwmphn.org.au.